Many years ago I was introduced at a party as “the guy responsible for messing up your kitchen counter every morning” because I had asserted in my first coffee book that the single most important thing one could do to improve one’s coffee was to grind it fresh just before brewing it. In the forty years since I’ve had many second thoughts about what I wrote in that first book, but the grind-it-fresh assertion appears to have held up. And, if I ever consider backing off that statement, the memory of this month’s cupping of sixteen nationally branded pre-ground supermarket coffees should stop any backsliding. We tested an assortment of the familiar canned brands – Folgers, Yuban, Maxwell House – plus two Dunkin’ Donuts and four Starbucks pre-ground supermarket offerings. We added two widely distributed canned pre-ground blends, presumably designed for American tastes, by Italian espresso giants Illy Caffè and Lavazza. With that caveat out of the way, what did we learn from this exercise? It was quite clear that messing up your kitchen counter with a coffee grinder is worth it if you care about good coffee. Recall that grinding coffee breaks down the natural protective package of the bean and exposes the delicate flavor components to potential oxygenation and evaporation. If this month’s sampling is any indication, various technical approaches to replacing the natural package of the bean with metal or plastic packaging remain lame expedients, especially given the often grotesquely long shelf life claimed for these products. It is remarkable how quickly all the coffees we tested faded in the cup, how consistently our notes describe a sort of dying, downward sensory trajectory from aroma (surprisingly complex and lively) to cup (flavor begins to fade) to finish (empty and exhausted). One can only conclude that these pre-ground coffees came out of the package tired. The canned blends from Folgers, Maxwell House and Yuban in general turned out about as expected: doubtless based on bad quality Robustas steamed to neutralize taint, they were flat and woody (at best) to slightly rotten and mildewed. The Folgers offerings were a bit woodier and more mildewed (Black Silk 74, Special Roast 71) than the cleaner Maxwell House blends (House Blend 78, Original Blend 77, Gourmet Roast 74). Yuban, which is apparently trying to position itself as the sustainable option in canned coffees, broke the pattern with a quite drinkable darker roasted blend (Yuban Dark Roast, 84) containing a minimum of 30% Rainforest Alliance Certified coffees. The label on the can (“100% Pure Coffee”) suggests that this blend contains some Robusta (all-Arabica blends are invariably described as “100% Arabica coffee”). However, we detected little Robusta impact in the cup, at least with this particular sample. What we tasted appeared to be a simple but clean, balanced dark-roast blend, probably based on Brazil Arabicas. The four Starbucks pre-ground coffees we tested certainly were all 100% Arabica, but were depressing in their mediocrity. Starbucks still sells decent coffees at its café locations, but these pre-ground supermarket price-first renditions struck us as parodies of the original Starbucks cup: dark-roast coffees at their most empty, with enough dark-roast impact to wipe out almost all nuance and turn the finish bitter and astringent, yet not enough to achieve the richly pungent, roasty intensity dark-roast drinkers enjoy. The Africa Kitamu had the most going on at 83. 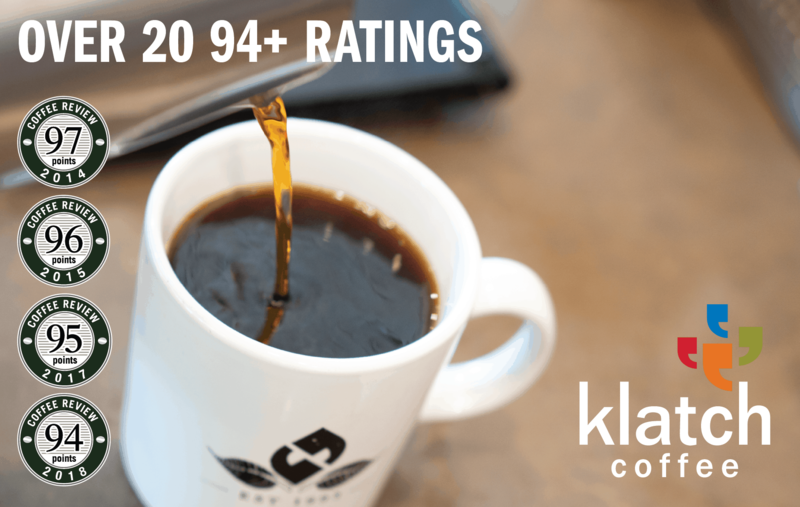 A Colombia came in at 82, a Costa Rica at 81, and a thin and charred French Roast blend at 80. Not to the coffee heavens, but well past the ground floor. This month’s top-rated medium-roasted Dunkin’ Original Blend (86) was slightly woody (blame it on the pre-grinding perhaps, or end-of-crop green coffees), but otherwise balanced, gently bright, quietly nuanced. The Dunkin’ Dark (85) was a surprisingly balanced dark roast, sweetly pungent with grapefruit and cedar notes and very little roasty astringency. Illy Caffè’s relentless pursuit of coffee refinement produced an American style drip cup (Illy Medium Roast Ground, 85) that struck us as squeaky clean, sweetly balanced, and basically lifeless. Not to mention expensive: almost three times as much per dry ounce as the two similarly rated Dunkin’ Donuts blends. European roasters are known for their skillfully executed light roasts, but our sample of the Italian 100% Arabica Lavazza Premium Drip Coffee (73) was more than light-roasted: It was flat-out under-roasted, shockingly and obviously so: woody and bitterly sour. Colombia, usually a dependable supplier for a superior all-Arabica option on supermarket shelves, displayed evidence of a disastrous year of bad weather and coffee shortages in the two samples we tested. The canned Folgers 100% Colombia (75) was flat, woody and tainted with a mild but composty ferment. The Starbucks Colombia (82) probably was a sounder green coffee, but it was hard to tell given an overbearing, roast-driven bitterness and astringency. With the new crop of Colombias just entering the market, the sturdily classic, dependable supermarket Colombia of past years may return to the shelves. Oddly, this trip to the supermarket netted one of the darkest roasted coffees we have cupped for long time (the Starbucks French Roast) together with by far the most woody and under-roasted (the Lavazza Premium Drip). Perhaps these extremes are simply signs of carelessness and cynicism on the part of the big roasters supplying ostensible upscale options to the supermarket chains of America. Perhaps their assumption (conscious or unconscious) is: These poor consumers have drunk cheap canned Robusta blends for so long they can’t make taste discriminations. If they want to upgrade they just look for a recognizable brand at a good price. If the package says all-Arabica and the logo is associated with quality they’ll buy it regardless of how it tastes. Such signs of cynicism make the achievement of the two Dunkin’ Donuts coffees particularly impressive. They sell for only a few cents more per dry ounce than the canned Robusta-heavy blends, yet deliver solid quality. 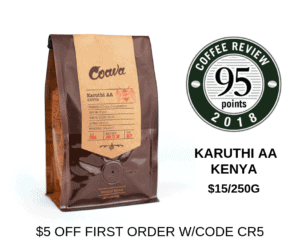 The green coffees appear well-selected if a little faded, but what impresses most is a well-modulated, intelligent approach to roast that delivers both a gently bright, classic medium roast and a smooth yet pungent dark roast. Both samples faded in the finish, but again, you can blame that on a clean counter.